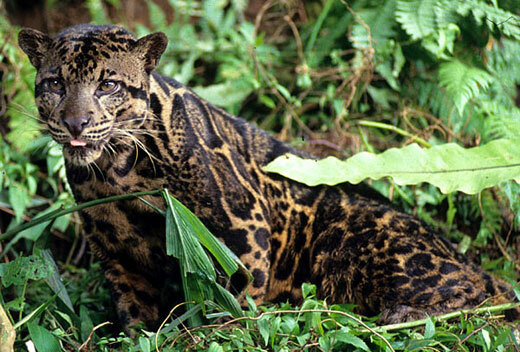 The Bornean big cat is also known as the Bornean Clouded Leopard or Diard’s Leopard. Whatever you want to call it, this is a medium sized wild cat that is found in the areas of Borneo, Sumatra, and the Batu Islands. This is a truly beautiful cat that has irregularly shaped markings that have dark edges that are shaped much like clouds, which is where the species gets its name. The species was first noted in the 19th century yet little has been learned about it since then other than the very basics. 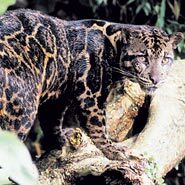 For a long time the Bornean big cat was thought to be the same as the clouded leopard but genetic results prove that it truly is its own species and should be treated accordingly. It’s thought that there are between 5,000 to 11,000 cats left on Borneo and 3,000 to 7,000 on Sumatra and hunting of the species is strictly prohibited. The Bornean big cat is quite stocky, weighing around 55 pounds and is the largest predator in Borneo. The cat has short, very flexible legs, large paws, and is sure footed for its size. It has the longest canine teeth of any existing feline and its tail is often as long as its body, as it helps to increase the balance of the cat to make catching prey up in the trees much easier. The Bornean big cat can be found in Borneo and Sumatra, both of which are in the Malay Archipelago. The cat was also known to be found in Java, but there is not any evidence that it has been there since the Neolithic times. The species is known to have preferred tropical and subtropical forests that were at altitude of up to 6,500 feet above sea level. Not much is known about what the cats do in the forests as they are a very secretive species, and their solitary nature doesn’t allow for much in the way of observation and reports of their behavior. The Borneo big cat is very much a carnivore, meaning it is a meat eater. 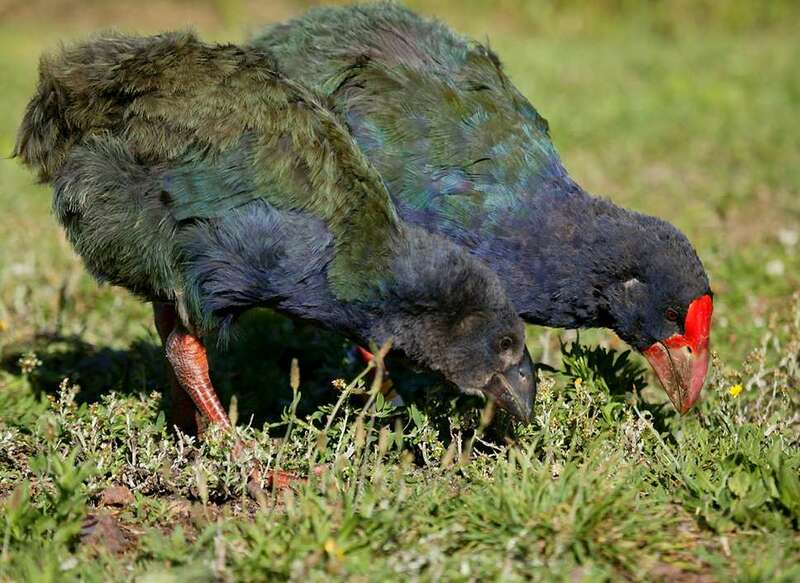 The cat will easily feed on birds, pigs, cattle, goats, deer, porcupines, monkeys. The species is thought to spend a lot of time in the trees and is an adept hunter. The big cats are thought to have litters of two to five live young after a gestational period of 86 6o 93 days. The cubs will be fed with their mother’s milk for five months, with males developing faster and wanting independence sooner than the females. Little is known about this species of wild cat, but they are protected because a cat that is often thought to be the same, the Clouded Leopard, is often hunted for their pelts. The limited area that these cats are found does make it easier for them to be protected, though deforestation, habitat destruction, and poaching are always concerns with a rare species such as this. where can i buy pictures of paint by numbers of these beaitful cats the snow leoprod etc. the are the most beautiful cats i have ever seen. please email me if you can help. i am 84 my hobby is to paint . i am wheel chair bound and this is something i like doing. thank you very much jim brown.